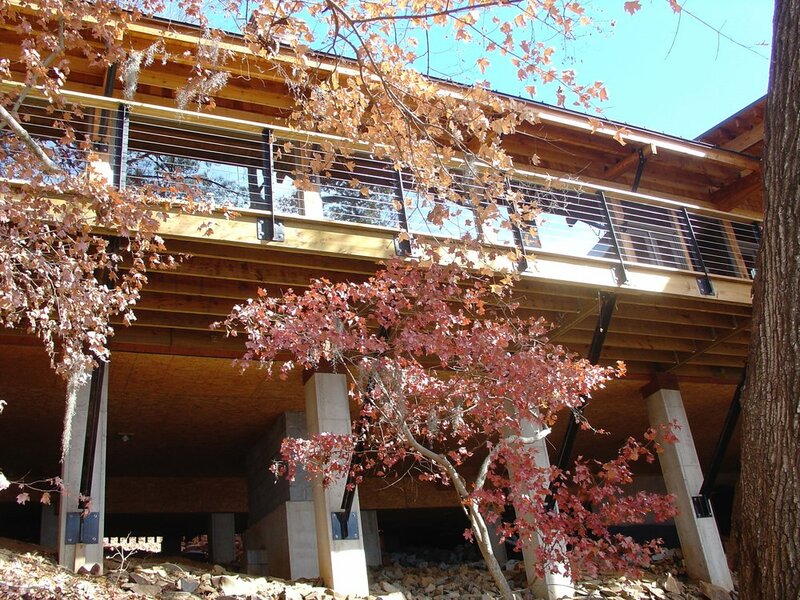 Situated in a riverside woodland, Dodging Water, aka the Savannah River Residence, was designed specifically to accommodate the steep dry creek bed that flows underneath the house. A large deck and wood & glass facade is cantilevered into the trees towards a sweeping view of the Savannah River below - one of several transitional spaces that blur the lines between indoors and out. At once rustic and gently elegant, the residence features natural materials such as wood, brick, and stone that echo and amplify the beauty of the surrounding landscape. 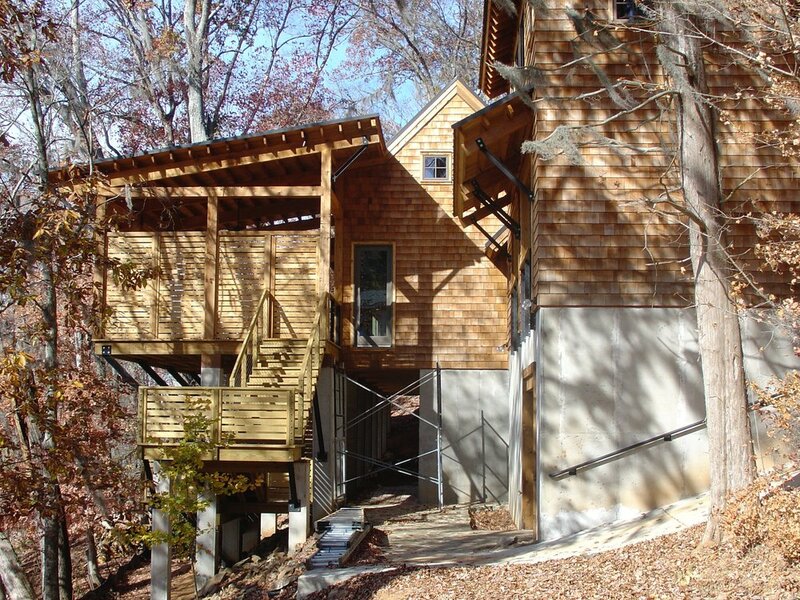 Mark Graham worked for CFS Architects as Project Architect for the Dodging Water Residence from the initial concept phases through construction.